What Does Ezra 1:5 Mean? 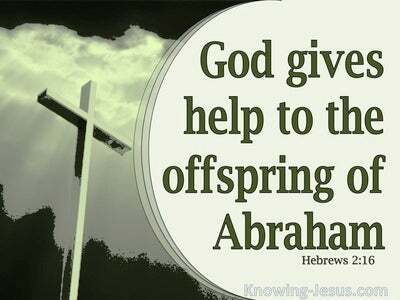 Then the heads of fathers' households of Judah and Benjamin and the priests and the Levites arose, even everyone whose spirit God had stirred to go up and rebuild the house of the LORD which is in Jerusalem. Unlike the cruel Assyrians and barbarous Babylonians, Cyrus.. the great king of Persia permitted those who had been taken into exile as slaves, to return to their native homeland and reinstate their customs and religious practices. Cyrus considered the brutality of previous regimes were likely to encourage rebellion among subjected people. He decided to relax the authoritarian grip imposed on exiles, which he considered would produce more contented citizens - - he was also the one God used to bring His people back to their promised land! Indeed, the king gave an edict for the Jews to return to land the same year he conquered the great Babylonian empire.. who had forced Judah into exile, 70 years earlier. 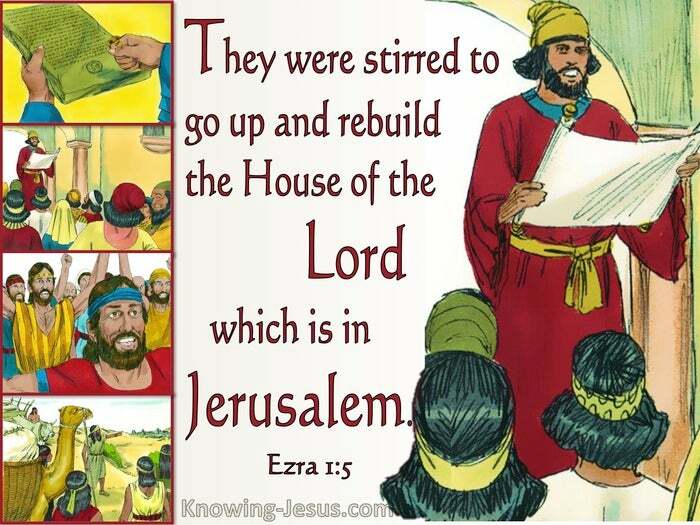 The first few chapters of Ezra give details of the king's decree to rebuild the Temple and records the various preparations that were made, by leaders like Zerubbabel and Ezra, concerning the nation's return to Jerusalem -- God used this pagan king to be His shepherd, who would perform all His pleasure. For 70 years the people of Judah had been in exile, because they had broken their covenant with God and ignored many prophetic warnings to repent of their sin and return to trusting in the Lord their God. They had been warned that disobedience and rebellion would result in exile and punishment, but the warning went unheeded and God's rod of correction fell upon both the northern kingdom of Israel and the southern kingdom of Judah - - God is not a man, that he should lie and all He has purposed will be fulfilled. As prophesied by Isaiah a ruler called 'Cyrus' would authorise the return of God's people to Israel, together with the rebuilding of the Temple of the Lord in Jerusalem. Cyrus even arranged for the sacred vessels, which were carried away from the House of God by Nebuchadnezzar, to be returned. And as prophesied by Jeremiah, Judah would return to Jerusalem after 70 years absence - - thus saith the LORD, after seventy years be accomplished at Babylon I will visit you, and perform my good word toward you, in causing you to return to this place. 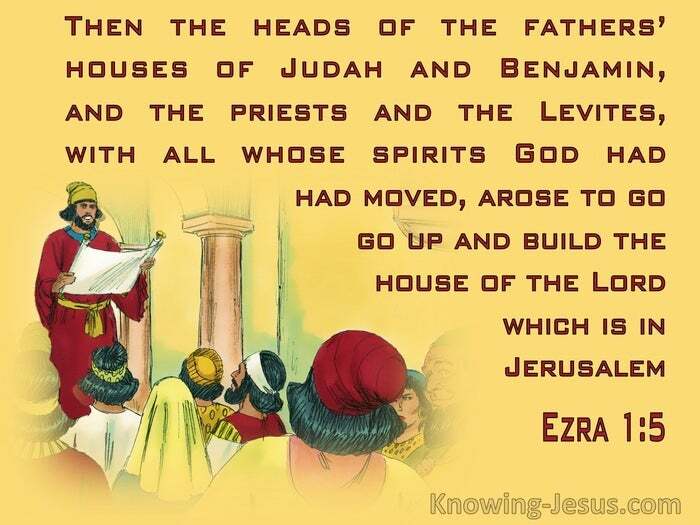 The main theme of Ezra is the restoration of Judah to her homeland, the rebuilding of the Temple and the spiritual renewal of the people of God. Decades of absence from their homeland caused many exiled people to ignore this God-given opportunity to return to the promised land and only some from the tribes of Judah and Benjamin, together with the priests, the Levites (who could only minister in the true Temple of God in Jerusalem) and a God-fearing remnant obeyed. Together they set out for their homeward journey - - The Levites in the northern kingdom... came to Judah and Jerusalem, in the time of Jeroboam and his sons, because they rejected them as priests of the LORD. 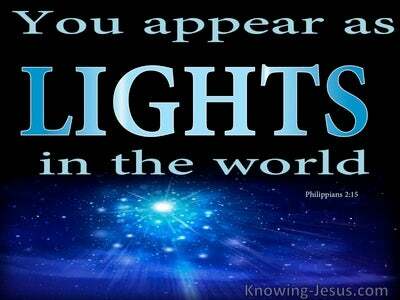 Those who returned were from the southern kingdom, which mainly consisted of three tribes: Judah, Benjamin and Levi. They were taken into Babylonian exile, many years after the northern kingdom of Israel, who had been enslaved by the Assyrians and became assimilated into the customs and practices of their pagan captors - - " then the heads of fathers' households of Judah and Benjamin, together with the priests and the Levites arose and everyone whose spirit God had been stirred to go up and rebuild the house of the LORD, which is in Jerusalem". Not all who were given the opportunity to return took advantage of the edict of Cyrus, because some had become content to remain in Babylon. They had built houses, produced families and become accustomed to an affluent, Babylonian way of life. They forgot that the Lord had said.. if His people would humble themselves; repent of the wicked ways during their time in exile He would bring them back to their homeland and bless them - - you shall go to Babylon, but from there you will be delivered. The LORD shall redeem thee from the hand of thine enemies. Many disobeyed the Lord, Who had made it clear through Jeremiah the prophet that Judah's punishment would only last 70 years, after which He would restore His people if they acknowledged their sin while living away from the land He promised to their forefathers, as an everlasting inheritance - - those who remained became embroiled in an attempt to exterminate the Jewish race, in the days of Xerxes, king of Persia, and Esther his queen... when a decree was issued that on an appointed day all Jews would be killed. The United Kingdom of Israel divided in two, after the death of Solomon, and only Judah, Benjamin, the priests and Levites, who served in the Temple, and a little remnant from a few other tribes chose to remain in Jerusalem and worship in the Temple, until they were enslaved by Babylon. And only a few returned to re-establish the nation at the end of their 70-year long exile - - everyone whose spirit the Lord had stirred up and motivated to return home and rebuild the house of the LORD, which is in Jerusalem. 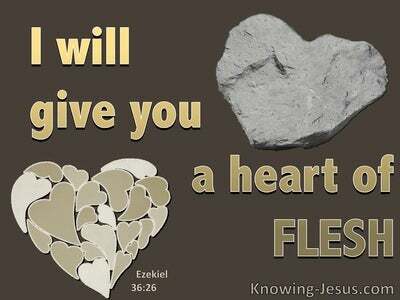 Throughout the book of Ezra there are lessons that each one of us can learn and opportunities to serve our long-suffering and faithful God, when we are willing to be used to fulfil His plans and purposes. We are reminded that we serve a sovereign Lord Who will never fail us nor forsake us, for despite Israel's failure our God is full of grace and mercy towards His people - and we are equally the recipients of His grace and mercy for we are also His children by faith in Christ. May we be those who seek to serve the Lord in the beauty of holiness and maintain a heart that is ever open to do His will. 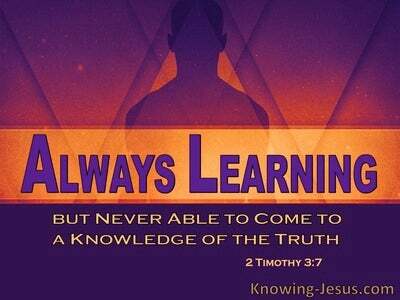 May our spirit be ever ready and willing to be stirred up to fulfil His word, like the leaders of Judah and Benjamin; the priests and the Levites and those in Persia whose spirit was stirred to go up and rebuild the house of the LORD, which is in Jerusalem.